Our department works to facilitate the instructional curriculum and programs that keep our students learning and progressing throughout their educational experience at HPCS. Hanover County Public Schools was the first school division in Virginia to engage in district accreditation process. We work to balance state standards, student performance, and stakeholder feedback to measure our quality programs and results. We are committed to the academic achievement of our students. Our curriculum addresses the academic, social, and emotional needs of the whole child. Our students graduate well-prepared for success in high school/college and beyond. 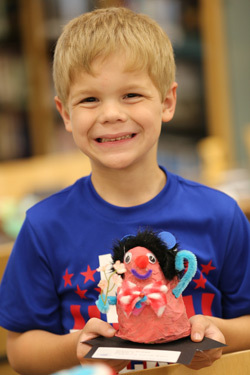 We are invested in teaching our kindergarten through sixth grade students important academic curriculum, as well as social and emotional skills that will serve them well throughout their educational experience at Hanover and beyond. We strive to assure a quality education for all Hanover students. We seek funding to help supplement our efforts. Such funding helps us focus on teacher professional development, reading instruction for readers at-risk of failure, working with students with limited English proficiency, and educating preschoolers at-risk for starting school behind their peers. 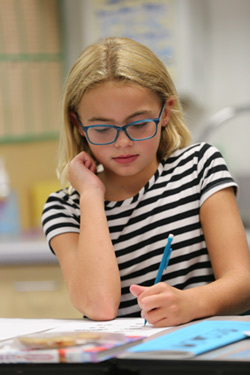 The educational experience for secondary students builds upon the strong elementary school foundation, as well as helps students acquire an understanding of and respect for themselves and others. Secondary students develop the skills to be responsible citizens and successful as they continue their education and career after high school. We offer a variety of programs to all students with disabilities in order to meet individualized student needs. We believe in an inclusive philosophy and provide services on a continuum to ensure the least restrictive environment.